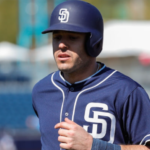 Fort Wayne will once again reap the benefits of a deep and talented San Diego Padres farm system. 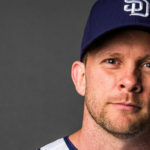 The TinCaps 2019 Opening Day roster will feature four of MLB.com’s Top 30 Padres Prospects: Ryan Weather, Xavier Edwards, Tucupita Marcano, and Blake Hunt, along with 2018 second-round selection Grant Little. 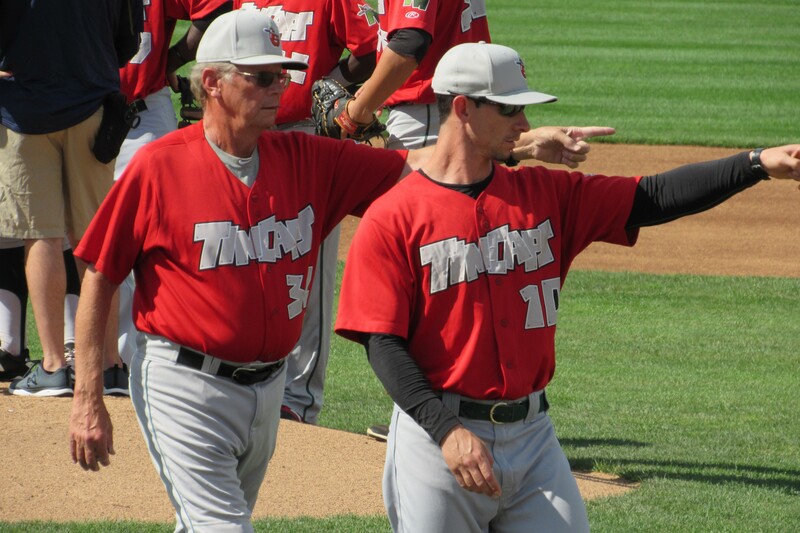 The 2019 edition of the TinCaps will still be what most would consider young, but will compare favorably to the league average as 17 of the players on the Opening Day roster will fall between the ages of 19 – 21. In fact, only one player will be younger than 19. That honor goes to 18-year-old infielder Justin Lopez, who played in 68 games during the 2018 season as a member of the TinCaps. As far as experience goes for this years team, four players spent a majority of 2018 with the TinCaps, while eight players were with Tri-City (Short-Season A) and 13 players spent a majority of 2018 with the Arizona League Padres (Rookie). 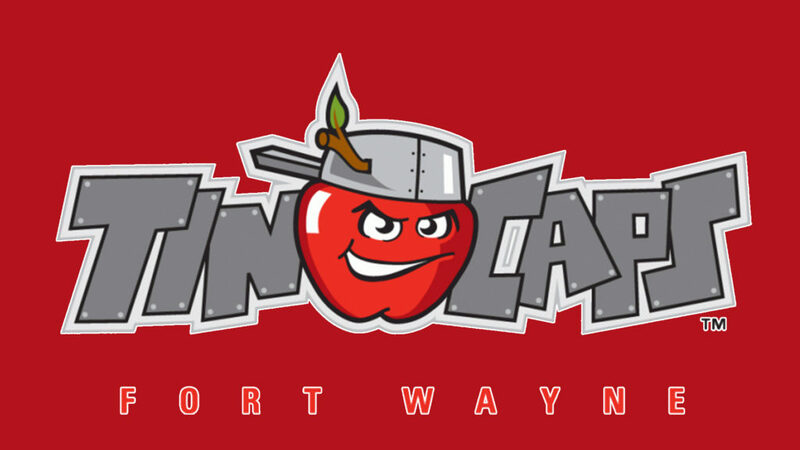 Ten of the 2019 TinCaps were International signings, while another nine players were drafted and signed out of college. Two more college players were signed as Free Agents, and the remaining four players were drafted and signed out of High School. The 2019 roster is made up of players from 11 states and four foreign countries. The breakdown is as follows: California (3), Florida (2), Georgia, Hawaii, Illinois, New York, North Carolina, Ohio, Pennsylvania, Tennessee, Texas, Venezuela (4), Dominican Republic (3), Mexico (3), Cuba. 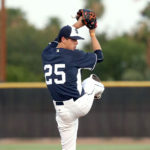 Ryan Weathers – Selected with the 7th pick in the 2018 draft, Weathers totaled 18.1 innings between rookie ball and Fort Wayne. His fastball and curveball have both flashed at a plus level during his short pro career, and he’s shown an advanced feel for the changeup. The 19-year-old lefty sports an impressive repertoire, but that shouldn’t come as a surprise as his father is a former big leaguer, David Weathers. 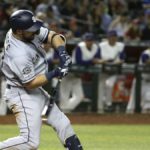 Tucupita Marcano – Signed as part of the 2016 International Class, Marcano features a slight, wiry frame, but that hasn’t stopped him from carving out his share of playing time from higher-pedigree players in the Padres system. Marcano led the AZL with a 173 wRC+, thanks mainly to an absurd 10:26 K: BB (6.3 K%, 16.3 BB%) in 160 PA. He only had five extra-base hits (four doubles, one triple), but his .497 OBP led the league by over 60 points. Xavier Edwards – Selected with the 38th overall pick in 2018, Edwards has plus-plus speed and proceeded to hit .346 with more walks (31) than strikeouts (25) and was successful on 22 of 23 stolen-base attempts between Peoria & Tri-City last season. He also features an advanced opposite field approach for a player beginning his age 19 season. 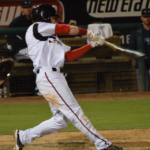 Grant Little – A Texas Tech product who was selected with the 74th pick in 2018, Little brings the type of versatility that organizations covet in modern baseball. An outfielder by trade, Little can move into the infield and play second or third base if needed, due to his outstanding athletic ability. His compact swing generates plenty of contact, and his ability to barrel pitches up is a huge plus. Blake Hunt – Outstanding receiving skills and arm strength are what propelled Hunt to the 69th pick in 2017. His defense, most notable blocking and game-calling skills are what prompted the Padres to make an offer good enough to pry him away from his commitment to Pepperdine. 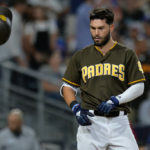 His bat needs to improve, but with the natural power he possesses, the Padres are eager to see what he can do at a higher level. Henry Henry – His mid 90’s fastball and clean arm action, mixed with a frame that can add strength make Henry one of the more intriguing prospects on the TinCaps roster. He needs to learn how to pitch instead of relying on his fastball if he wants to be successful as he makes his way through the system. Carlos Belen – This will be a fun story to follow. Belen was signed as a third baseman in 2012, but his bat never developed. 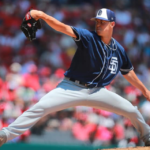 His arm strength is off the charts, so the Padres decided to see if he could transition into a pitcher. Belen was 4–1 with a 3.05 earned run average, a 1.35 WHIP and a .218 opponents’ batting average as a pitcher last season in 19 appearances with Tri-City. His fastball can reach the upper 90’s, so the raw talent is there for this to be a success story.